The Bitcoin Alliance of Canada, the oldest and largest Bitcoin advocacy organization in the country founded by Anthony Di Iorio in April 2013, has announced a host of new updates relating to the Bitcoin Expo, an upcoming event that will take place in Toronto from April 11 to 13. Although there already have been two smaller Bitcoin-related gatherings in Canada, with the Bitcoin Summit in Toronto last October and Coinfest in Vancouver in February, the Bitcoin Expo will be the first major event to have a large marketing effort and attract attendees and speakers from Canada, the United States, Europe and Asia. The event has been in the works for several months, and was officially announced in November 2013; now, the Bitcoin Alliance has released a new website for the Expo, including the full speaker list, sponsorship packages and tickets on sale. The Expo will take place in the Metro Toronto Convention Centre, the largest conference and meeting center in the country. The conference area will include at least four major rooms, including two speaking rooms each capable of seating 500 people, a smaller speaking room and a media room, and there will also be smaller rooms for events like fireside chats. The exact schedule has not yet been announced, but it is publicly known that the main event with presentations will take place on the Saturday and Sunday from April 12 to 13, with an optional gala dinner on Friday for whose who are willing to pay the extra $100 for a higher-level ticket. There will also be a free “Learn More About Bitcoin” event with 200 seats available on Saturday morning, as well as a hackathon dedicated to cryptocurrency technologies. The cost of the tickets is among the lowest for any Bitcoin event in the past year, with basic tickets at $200 (reducible to $180 if you take the simple step of becoming a free member of the Bitcoin Alliance of Canada) compared to $300 for the Bitcoin Foundation’s official 2013 conference in San Jose, €350 for their upcoming 2014 event in Amsterdam, $200 to $250 for Miami and $500 for the Inside Bitcoins conference in New York. The Expo will also be non-profit, relying heavily on volunteers to set up the event and with all proceeds going directly to the Bitcoin Alliance of Canada. Anthony Di Iorio, founder of the Toronto Bitcoin meetup, the Bitcoin coworking space and community center Bitcoin Decentral, Kryptokit and the Bitcoin Alliance of Canada. Coming from a long career in geothermal drilling technology and later real estate, Anthony first joined the Bitcoin community in late 2012, and immediately proceeded to found the first Toronto Bitcoin meetup in November 2012, making Toronto the third city in the country to have a meetup after Vancouver and Montreal. He is now employed in several Bitcoin projects full-time, including KryptoKit, Bitcoin Decentral, Ethereum and the Bitcoin Alliance. Andreas Antonopoulos, a well-known Bitcoin technology expert and public speaker at Bitcoin events. Andreas is also a regular participant in the podcast Let’s Talk Bitcoin, and has also recently taken up a position as the chief technology officer of blockchain.info. Charles Hoskinson, a Colorado-based mathematician and cryptographer who studied analytic number theory and worked on the Goldbach conjecture in graduate school before moving on to cryptography and later Bitcoin. Charles is most well known as the founder of the Bitcoin Education Project and creator of “Bitcoin, or How I Learned to Stop Worrying and Love Crypto”, a Udemy-based online course providing an introduction to Bitcoin and its internal workings. Cody Wilson, a Texan crypto-anarchist and founder and director of Defense Distributed, the organization that produced the first 3D printed gun. Cody has since become increasingly interested in Bitcoin, and is also a founding member of the Dark Wallet project. Joseph David, the founder of the Calgary-based exchange CAVirtex, the oldest still running Canadian Bitcoin exchange and the first to start trading Litecoin. CAVirtex is also developing a platform for merchant services and is increasingly moving towards becoming a large player in the Canadian Bitcoin merchant ecosystem. Jason King, founder of Sean’s Outpost, a homeless shelter feeding hundreds of people in Pensacola, Florida. 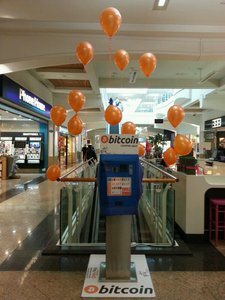 Sean’s Outpost originally launched in 2012, but started accepting Bitcoin donations in March 2013 when the price of a Bitcoin first shot above $50. Jason made a post on Reddit asking anyone to donate a bitcoin and feed 40 homeless people at a cost of $1.25 per person. Four days later, Sean’s Outpost had raised over $600, and Sean’s Outpost has since become a regular presence in the Bitcoin community. More recently, Jason has also launched Satoshi Forest, a nine-acre “sanctuary for the homeless” in Pensacola, and he is now running across America to raise awareness for homelessness and Bitcoin. Jonathan Mohan, the founder of BitcoinNYC, a professional association of Bitcoin users in New York, and the founder of the New York Bitcoin meetup, which has now become one of the largest in the country. *Charlie Lee is the creator of Litecoin, the second largest cryptocurrency and one of the oldest that is still around today. Litecoin is most well-known for its use of the Scrypt mining algorithm, requiring a large amount of memory to compute in order to make it more difficult to produce specialized hardware for it. Charlie also works for Coinbase, one of the most popular ways to buy Bitcoin in the United States. Ron Gross is a co-founder of the Israeli Bitcoin community, one of the most concentrated Bitcoin communities in the world with several thousand members in its Facebook group out of a total population of 500,000 in Tel Aviv and 8 million in Israel. He is now also the executive director of the Mastercoin Foundation, and is a founding member of the Global Bitcoin Alliance. Tickets are available for sale on the Bitcoin Expo web site, and sponsorship packages ranging from $5000 to $35000 have also been posted. The Bitcoin community in Canada has been growing rapidly this past year, with burgeoning local communities in Toronto, Montreal and Vancouver, each with a large meetup group, a dedicated community center and a Bitcoin ATM; the Bitcoin Expo is shaping up to be the grand opening of the Canadian Bitcoin community to the world at large. Looking forward to seeing you there!